This series of paintings, the “yellow cloth series,” is tied together with the cloth and background wall. Variety was achieved by varying the bone, antlers, fruit, and other fabrics. 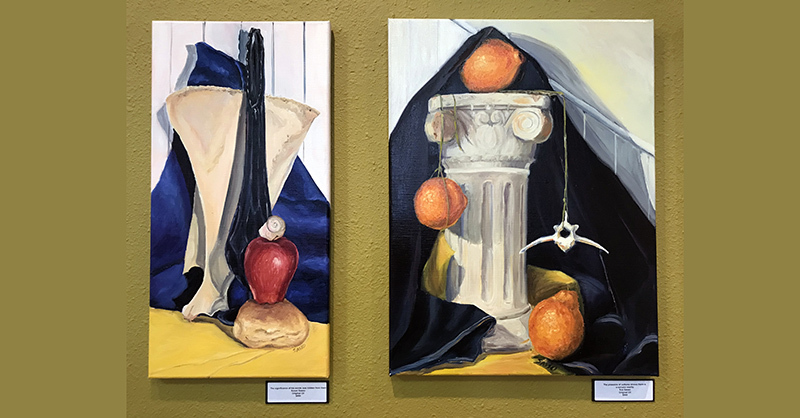 One of the motivating ideas in this series and many of Sue’s still life paintings are the combination of brightly colored fruit and bleached bones. In some ways this juxtaposition is a metaphor for life – are you living life to the fullest or withering away in silent despair? Personally, it is also a representation of Sue’s faith. Julie grew up in Rapid City, SD and went on to attend the University of South Dakota. She has always loved art but discovered an entirely new world in college when she had the chance to study art history and be surrounded by classmates and teachers who were an inspiration to her work. Michael Knutson works as a 2-D Art Instructor at Garden City Community College in Southeast Kansas. 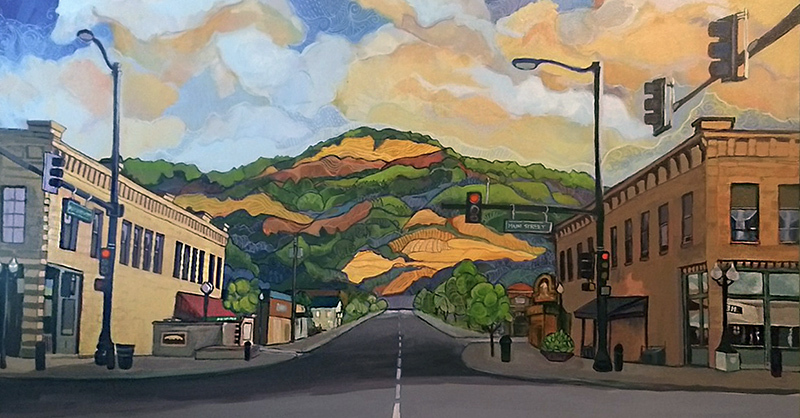 he was the son of two art educators and spent his childhood immersed in creativity drawing inspiration from his experiences in the natural environment of the Black Hills of South Dakota.